Our team are specialized in anti-aging and intensive cure treatments or massages. For the beauty and well-being of your face and skin, we provide solutions for following issues such as skin tightening, stretch marks, pigmentation, hairs, scars, tired look, skin imperfections, acne, coupe-rose, vascular capillaries, loss of eyebrows, repair or retouching after permanent make-up, dilated pore, very dry or wrinkled skin. 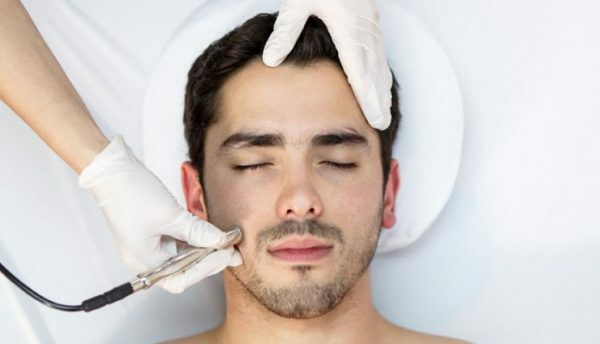 We use techniques and technologies such as filler injection, lifting, chemical peeling, laser or pulsed light for permanent hair removal, permanent makeup, oncological and reconstructive dermopigmentation, radio frequency, mesotherapy, microdermabrasion, MCA. Choose from our massages and our specialist care for the body. to an application of mask adapted to every face area. MCA is a non-surgical and a natural way to make the body’s own cells to regenerate and reduce wrinkles. The MCA is painless, completely safe, which is an excellent alternative to filler or botox injections. This treatment is to relax the narrowed scars, plump the “valley” of wrinkles (causing them to fill), and “white scars” can often be re-pigmented to better match the tones of the skin. The MCA can even be applied to the rounds of the mouth, re-pulped and relieve small wrinkles around the lip area. The results of MCA last much longer more affordable. Usually, only our experienced therapist who is practicing MCA can get the best results. Glycolic Acid Peel involves applying a trichloroacetic acid solution to the skin to create a chemical exfoliation. This controlled peel is only working on the necessary places which is less aggressive than a usual peeling in clinics, it means that this product only reacts on wrinkles, skin pigmentation or scars to treat where the skin actually needs, stimulates the skin with an intense cellular renewal. Glycolic Acid Peel allows to smooth the wrinkles, to remove the age spots, to erase certain scars, to rejuvenate the skin visibly. It reveals a smoother fresh and unified skin. Here, we distinguish the Glycolic Acid Peel at 15%, 20%, 25% and 30% of acidity. It is important to prepare your skin 2 weeks before the Glycolic Acid Peel, follow strictly advices from your specialist in peelings. Immediately after the Glycolic Acid Peel, the skin is red. This treatment leads to a more or less important desquamation of the skin. During this phase, the epidermis is renewed, which lasts for about 1 month. One session of TCA peeling may be enough, depending on the condition of your skin, this treatment could be repeated every 3 months – 6 months. Microdermabrasion is a non-invasive technique that exfoliates the skin to promote cell renewal and tonify tissues. The new generation of microdermabrasion works by very fast vibrations.The interchangeable head (silicon carbide) performs the orbital movements allowing a better elimination of the stratum corneum in the smallest corners of the face and a reduction in the appearance of superficial fine lines. Thanks to micro-pulsations, the skin and the facial muscles or collagen is stimulated. The perfectly cleansed skin instantly finds its clarity and thus appears smoother, firmer and radiant. During the session, some vibrations will be perceived and you will see slight redness depending on your skin type, which will fade the next day. The amazing effect is can be seen immediately from the first treatment. Generally, 1 session every 4-6 weeks is advised. As we grow older the natural collagen and elastin in the skin will reduce with time, skin cells lose their ability to produce component which will make us look younger. When we are born, we have plentiful amounts of Hyaluronic Acid (HA) in our body, but as we get older the HA diminishes, leaving the skin less well supported, wrinkles develop. It is often we feel the skin becomes dryer, thinner and it takes longer time to recover from pollution, damages or aggressive sunshine. By lifting and smoothing targeted folds and wrinkles by adding subtle volume, dermal fillers can make a huge difference to a person’s appearance, giving them a fresher look. The treatment of wrinkles with dermal filler will usually involve injecting this naturally occurring product (HA) through a tiny needle. The discomfort is minimal as the treatment does not take long to perform. The aesthetic outcomes of treatments with dermal filler can be seen immediately after. Treating wrinkles with dermal filler is fast, efficient which is leaving no scars. You can also treat your lips with lip fillers to add extra volume. Today’s sophisticated fillers are made of Hyaluronic Acid (or HA), which is a substance that’s found naturally in the body, making it much safer. The procedure takes around 30-45 minutes and patients can expect to notice the effects for as long as 18 months after treatment. There is even precedence of results lasting up to 24 months in some cases, however, treatment with fillers is completely reversible. With any injectable treatment, there can be some slight bruising or swelling that accompanies it. This should not persist much longer than a day, and is easily cover-able with makeup. Facial fillers can be used on a wide range of patients, and are primarily used for skin rejuvenation and the reduction of lines and wrinkles. Other suitable candidates are those seeking to add structure and volume to the face. We see a lot of patients who have lost volume in their face due to living a very active, high impact lifestyle (such as runners or skiers). Fillers help to restore the volume loss that naturally begins to occur when we reach our late thirties, and in turn gives a fresher, brighter appearance. There is no scientific risk to those who are pregnant or breastfeeding, but we would advise against having treatment under these circumstances. The results should be subtle, leaving our friends and family believing that we are simply looking our best and great for our years. Treatment lasts between 18-24 months but, naturally, towards the end of this period the effects begin to gradually soften, so there is no dramatic change. When the effects begin to soften, we aim to ‘top up’ the treatment. Patients will often come in to the specialist and point to a specific line that they don’t like. Good practitioners shouldn’t just look at treating this specific line, but will look beyond it to how the face looks as a whole, since treating an individual line could make the patient look unnatural. Sometimes the patient will say that people tell them they look sad, tired or grumpy when this isn’t really the case. In these instances, it’s usually not a single line that is causing this impression but multiple factors and the practitioner should discuss treatment options with the patient before, it is really important to meet us for a consultation before doing any treatment. It is really key that you feel safe and reassured by your chosen practitioner: a partnership should develop where you can speak freely about what concerns you, as this will allow the practitioner to truly understand your hopes and desired outcomes. Inspired by tattooing, dermopigmentation is a technique that has recently developed as a medical-surgical technique. Our pigments are natural for medical specialists but not a simple beautician, the stability of the color and the result is lasting much longer than majority of the beauty salons. It consists in introducing a pigment into the dermis using an electrical appliance, and makes it possible to modify the color of an area of ​​skin for a repair or purely aesthetic purpose. Compared to artistic tattoo, this technique requires more medical knowledge, but the principle is the same. The pigments, which are well tolerated by the organism, are in the form of a stable solution of colored powders.The dyes from mineral or organic origin are used for permanent make-up : they must be sterile and approved “Medical Implants, CE standard”. – The purely aesthetic tattoo: Cosmetic tattoo or permanent makeup. – Corrective tattoo or skin restructuring: Correction of a surface of skin or mucous with color anomalies. – The technique of pigmentation and pain. Impeccable eyebrows: there are two techniques of makeup to redraw or intensify eyebrows scattered, too light or absent. – The “filling” offers a uniform result, similar to the pencil line. – The more natural “haired hair” reproduces the tracing of the hairs. The effect is visible from one to four years depending on the intensity of the pigment. Of course, the darker the starting color and the longer the effect. Well-designed mouth: To correct an asymmetry, to thicken lips too thin, to enhance the natural color of the lips, it is better to choose an identical shade and slightly darker color. It is imperative to keep a natural appearance so that the effect is pretty and long lasting. If the lips are volume-less, it will be useful to think about plumping them through injections of hyaluronic acid. The renewal of volume combined with the clear and recolored layout will rejuvenate the mouth considerably. A more intense look: Eyeliner application requires a well trained specialist because of the proximity of the eye. The line can be more or less thick for an intensified look and an effect of “eyelashes provided”. A mole can be placed on the face according to the “language of the moles of beauty”. Freckles can also be placed on the face through dermopigmentation. Pigmentation of aesthetic and repairing scars and strech marks. – To men and women. – To those who want to save time. – To those who want to combine beauty and comfort 24/24. – To people with little or no eyebrows. – To persons who present a loss of definition of shape and color of the contours of the mouth that refines and loses its curve over time. – For people who have difficulty applying makeup. – For people with an intolerance to make-up products. – To the athletes who want to keep a clear and lasting line of eyebrows, lips and of the round of the eye. – Active women who want to reduce make-up time. – To those who do not like that the make-up flows or disappears and that the lipstick goes in the fine lines. – To those who have allergies. – To those who suffer from alopecia (lack of hair in some places), permanent or temporary (chemotherapy). – To injured and operated persons who have scars. – Persons wearing glasses and contact lenses. – To persons who have genotype. – To those who wish to repair an unsucceful dermopigmentation. This implantation is considered semi-permanent because it fades over time (several years). It is important to choose a natural and discreet makeup that simply enhances the face but does not impose itself artificially. The advice of the person who carries out the dermopigmentation is valuable: the criteria of choice will be sought according to the morphology of the patient, its complexion and the result that it hopes. Before the session, a simulation is done in pencil for the lines and brush for the color. If the patient is satisfied with the simulation, makeup will be done with his / her wishes. – People with a loss of definition of shape and color of the eyebrows or the contour of the lips that refines and loses its shape over time. – People with loss of eyelashes and eyebrows: alopecia areata, trauma, burn, scarring, chemotherapy. – Attenuation of the tattoo points after radiotherapy by pigment of color “flesh”. – Temporary or permanent depigmentation. – The redefinition and coloring of the breasts are too light or asymmetrical. This technique is a very interesting complement for the repair of the integument after a surgical procedure. – Repigmentation of post-surgical cicatricial depigmentations: mammary areolas after surgery of increase or decrease of breast volume, facelift, post-traumatic surgery. – To reconstruct the areola-mammillary plaque after breast cancer. – Labial reconstructions for sequelae of slits-labio-maxilla (“hare-lip”), loss of substance or scars. – To attenuate the scars at the hairy areas with loss of hair (eyelashes, eyebrows, scalp, beard …). – Improve grafts of depigmented skin. The implantation is carried out with an electrical device and needles with one or several points according to the work to be carried out. The needles and pigments are sterile and disposable so there is no risk of contamination. Depending on the size of the area to be treated, especially for skin reconstructions or scar camouflage, the color may change slightly in the month following implantation. A shade correction can then be considered one month after the test session: several passages will be necessary. First of all, it is necessary to make a test session and wait a month to evaluate the evolution of the shade. The color will actually clear over time. Dermopigmentation is sometimes a somewhat sensitive action and it is common to use an anesthetic cream which must be applied in thick layers at the level of the affected area an hour and a half before pigmentation. If this is insufficient, local anesthesia may be performed. To trace the eyeliner for anxious people, it may be helpful to take a light tranquillizer before pigmentation. If the patient is prone to bruising, it is necessary to take doses of Arnica the day before and the morning of the procedure. Dermopigmentation is a safe, non-aggressive, ambulatory technique with simple sequences. However, as in any act that affects the integrity of the human body, a certain number of precautions must be taken and contraindications exist. – Evolving dermatological diseases, infectious diseases. – Ocular pathologies or irritations for an eyeliner. – Autoimmune diseases, although the pigment is inert. – Significant systemic disorders (insulin-dependent diabetes, serious allergies, Renal, hepatic or cardiac insufficiency …). – Tendency to develop keloids. – Treatment with acidic vitamin A (Roaccutane). – Certain unstable and unstable psychological profiles due to the permanent nature of the pigmentation. – Immunocompromised patient (AIDS, kidney transplants, immune deficiency …). It should be noted that patients on anti-coagulants (Aspirin), anti-inflammatory drugs may be subject to hematoma, bruising or localized bleeding to the implantation area. Due to a possible interaction of the colored implant with filling implants (wrinkles, lip augmentation …), it is advisable to wait two months between the two. In case of a history of herpes, it is necessary to take a specific treatment before a lip pigmentation. A medical questionnaire will be completed before pigmentation. – Put ice for ½ hour on the treated area to calm the temporary inflammatory reaction. – Clean the pigmented area morning and evening with a soothing lotion without rubbing. – Apply morning and evening for three days an anti-inflammatory and antiseptic lotion. – Do not remove small crusts that appear normal. – Avoid sea bathing or swimming for five days and solar exposure or U.V for ten days. The appearance of edema is normal, it will last 24 to 48 hours. If there is a capillary fragility, it is possible to present bruises, in particular after an eyeliner. A small itch can sometimes appear for 8 days. To treat one of the main signs of aging of the face, that is to say skin sagging, which manifests itself from the age of 30 years, we can say goodbye to the surgical facelift, and to welcome the non-surgical mini-facelift laser . – the epidermis where the imperfections are targeted. Past forty or even thirties for some of us, the effects of time and signs of age are beginning to be felt. On the forehead, around the mouth, around the eyes, when wrinkles settle, it becomes difficult to ignore the reflection reflected by our “beautiful mirror”. The sentence falls and the idea of ​​feeling old shows the nostalgia of the face of his 20 years. The idea of ​​stopping time in order to feel both well in his head and in his body then appears. But these motivations are quickly overtaken by the apprehension of throwing themselves into the hands of cosmetic surgery. But forget all this and think about the rise of aesthetic medicine to solve this problem and especially laser. What is the principle of laser? Laser skin rejuvenation is a treatment that is aesthetic medicine. It aims to reduce and correct the signs of age by using a ray that targets the melanin and water already present in the layers of the epidermis. This system produces the excitation of the cells of the dermis inducing an increase in the production of collagen which allows the natural regeneration of the skin and thus gives the volume and the relief necessary for the filling of the wrinkles. The laser also allows regeneration of the skin through the fractional ablation of its small particles. This also induces excellent retraction with a great “lifter” effect. The treatment of laser skin aging is an aesthetic method that could be gentle. Depending on the type of laser and the patient’s project, this can lead to moderate redness easily camouflable with makeup. In general, rejuvenating photo laser sessions last between 20 and 30 minutes. The procedure is very little or not at all painful. Light tingling accompanied by slight sensations of short heat remain very bearable. A soothing cream or gel will be applied at the end of the session to moisturize and repair the skin. A method with few risks! Burns, pain, stretched skin, social eviction, swelling, etc. Rest assured, the ‘non-ablative’ laser is safe. It acts on the middle to deep layers of the skin, without having effects on the upper layer of the epidermis. Only a slight reddening on the treated part will appear and then disappear half an hour after the procedure. The rejuvenating laser is advised to treat the relaxation of the skin. In general, 5 to 6 sessions are sufficient to obtain a visible result. At the end of the treatment, the skin is radiant, more toned and attenuated wrinkles. The contour of the eye is a very sensitive and fragile area that easily reveals the stigma of fatigue or age, dark circles appear first at the corner of the eye before extending on the contour which makes The look sad and tired. This new laser equipement which was out of the market since 2017, and luckily we could have this new method of laser to treat any sensitive area of the face. Scrubs made with precious ingredients, they light up and smooth your skin while perfuming it with a delicious scent. From the whole world then reviewed in Provence (South France), the MySpa exfoliations respect traditions and have been realized in a spirit of creation. Sometimes ancestral, sometimes innovative, these exfoliations sublimate every type of skin. They can be adapted according to preferences, textures and perfumes. This massage is extremely gentle and deep which works specially for restart the elimination of the toxins, re-establish the hormone system and metabolism, reduce the pain and release all the emotional problems, this massage is a perfect start before you do a slimming cure. Anti-cellulite massages improve your appearance and your opinion about yourself; this 30-minute massage enables to strengthen your shape combining a deep kneading which reduces cellulite, and with a drainage. Ce massages est adapté aux clientes qui ont envie d’apprendre une nouvelle hygiène de vie, on utilise les techniques à la base de l’accupression sur les zones ciblés pour diminuer les envies de trop manger, stimuler le system de méridien pour favoriser de saines habitudes de vie, la circulation sanguine, élimination des toxines et perde du poids. Our cure is aombines with all the latest cutting edge technologies on the market. We define your cure according to the need of each person, the free consultation and a trial session will give you a general idea about where you should go. This cure is adapted to women and men. You can choose a cure of 6 weeks, 2 months or 3months. It is also strongly suggested to maintain the quantity of water consumption in order to assist the elimination of toxins from the body. These non-invasive treatments are ideal for those who have tried everything including dieting and/or physical exercises but still have weight or size issues, who aim to achieve a graceful and balanced body. It remains important to maintain a healthy lifestyle (integrating healthy eating and regular workouts) in conjunction with treatments by all technologies. We work with www.bespokenutrisport.ch/ and https://www.whealthness.ch/ for coaching sport coaching nutrition. The “cavitation” effect is the formation of micro bubbles of vapor due to the treatment of a liquid with low frequency ultrasounds (20 KHz to 35 KHz). If the intensity of the ultrasounds is adequate, can cause the formation, growth and a rapid explosion of the vapor bubbles, with the consequent release of energy. If the energy of the shock waves is released in the proximity of the fat cells, we are seeing a real cell lysis, with a marked reduction of localized fat (the so-called cavitation lipolysis). The technology is not available for the italian and french market . A good candidate for cavitation is a person who is trying to get rid off of some targeted fat from certain areas of the body such as hips, thighs, buttocks, tummy, back, calves still arms. How often ?Once a week between 6-12 weeks then once a month. Ultrasounds are acoustic vibrations with a frequency greater than human hearing (20,000 Hz), issued by transducers able to turn them into “mechanical energy”. Applying these transducers on the areas to be treated, it causes the penetration of ultrasounds in the tissue concerned, depending on the frequency of emission (which varies from 1 to 3 MHz) can be obtained several beneficial effects. The main ones are a reactive vasodilation, due to termic effect, and one by mechanical disruption of collagen in tissues. 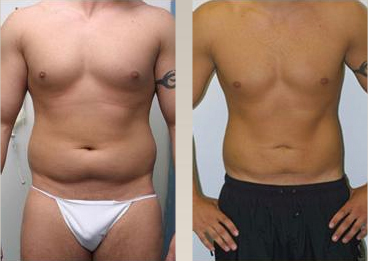 Both are particularly useful in the treatment of localized fat reduction which is very similar as cavitation. How often ? Once a week between 6-12 weeks then once a month. It is a technology based on the observation that the fat cells (adipocytes) are sensitive to the cold: cryolipolysis means literally destruction of the fat by the cold. Fat cells are destroyed and phased out within a few weeks. First, the skin is aspirated and then frozen. A gel pad protects the treated area. The temperature drops below zero and is continuously monitored by the instrument. A good candidate for cryolipolysis is a person who seeks to remove belly fat and hips with a significant amount of fat. What is it?Glycolic Acid Peel involves applying a trichloroacetic acid solution to the skin to create a chemical exfoliation. This controlled peel is only working on the necessary places which is less aggressive than a usual peeling in clinics, it means that this product only reacts on wrinkles, skin pigmentation or scars to treat where the skin actually needs, stimulates the skin with an intense cellular renewal. Result: Glycolic Acid Peel allows to smooth the wrinkles, to remove the age spots, to erase certain scars, to rejuvenate the skin visibly. It reveals a smoother fresh and unified skin. Here, we distinguish the Glycolic Acid Peel at 15%, 20%, 25% and 30% of acidity. It is important to prepare your skin 2 weeks before the Glycolic Acid Peel, follow strictly advices from your specialist in peelings. Immediately after the Glycolic Acid Peel, the skin is red. This treatment leads to a more or less important desquamation of the skin. During this phase, the epidermis is renewed, which lasts for about 1 month. How often? One session of TCA peeling may be enough, depending on the condition of your skin, this treatment could be repeated every 3 months – 6 months. Microdermabrasion is a non-invasive technique that exfoliates the skin to promote cell renewal and tonify tissues. The new generation of microdermabrasion works by very fast vibrations.The interchangeable head (silicon carbide) performs the orbital movements allowing a better elimination of the stratum corneum in the smallest corners of the face and a reduction in the appearance of superficial fine lines. Thanks to micro-pulsations, the skin and the facial muscles receive the micro-massage which stimulates the blood circulation of skin tissue. The production of new collagen is stimulated. Results? The perfectly cleansed skin instantly finds its clarity and thus appears smoother, firmer and radiant. During the session, some vibrations will be perceived and you will see slight redness depending on your skin type, which will fade the next day. The amazing effect is can be seen immediately from the first treatment. How often? Generally, 1 session every 4-6 weeks is advised. Get our BEAUTE PASS and receive 20% of discount on all our classic waxing, treatments for hands and feet. We use a variety of Lycon waxes in the salon. Hot waxes can target hair growth as short as 1mm and we use this for facial, underarm and bikini waxing. It is applied in a specialised technique and quickly removed. Larger areas like legs and arms we use Lycon strip wax cartridges which is applied quickly and thinly to the area with a paper strip to remove hair growth. We are professional trained in hot waxing for intimate areas and there is absolutely no need to feel embarassed. When you come in you will be taken to the treatment room where you will be left to remove your underwear, freshen up with the wipes provided then simply lie on the treatment couch with a modesty towel and you are ready to go. We practice permanent hair removal for the whole body with the lastest and tested modern technology based on selected photo-thermolysis. Our cutting edge medical machine which combines a few different technologies such as laser or intense pulsed lights can reach the best result for even thin and very light colored hair or very dark skin. It is the best permanent hair removal method nowadays. One session per month, 4-6 sessions are suggested according to the area. Bath with massaging chair, filling, cuticles treatment, elimination of callosities and hydrating cream.